While guilt as a gift of God can prod persons in the direction of repentance and forgiveness, guilt can also cripple and maim persons. As pastors see it, part of their role is to help heal guilt with the grace of God's acceptance and forgiveness. But healing guilt involves more than waving one's hands over a person and saying magic words like, "Remember, God loves you." While God is quick to forgive, other people aren't. 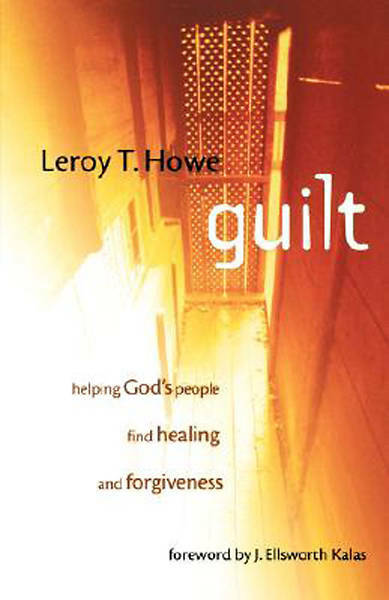 The process of healing guilt with the salve of forgiveness can be a long and torturous journey. Pastors face three problems related to healing guilt. First, how do you as pastor avoid judgmentalism? How do you help parishioners grasp what Howe calls the transcendent character of guilt that takes the guilty seriously, and yet not inflict more harm by rejecting the person? Second, how do you avoid offering cheap grace? That is, how do you help individuals discover forgiveness in a way that does not diminish the consequences of their actions or their accountability for them? Third, how do you avoid being perceived as a doormat who invites more of the same injurious behavior, when offering forgiveness? How do you help people offer forgiveness in such a way that does not deny the seriousness of what was done or denying future consequences if done again?